A Maricopa High School student is among the finalists announced for the ASU Gammage High School Musical Theatre Awards. The MHS Theatre Company’s production of “The Baker’s Wife” was among 26 shows nominated for best musical. 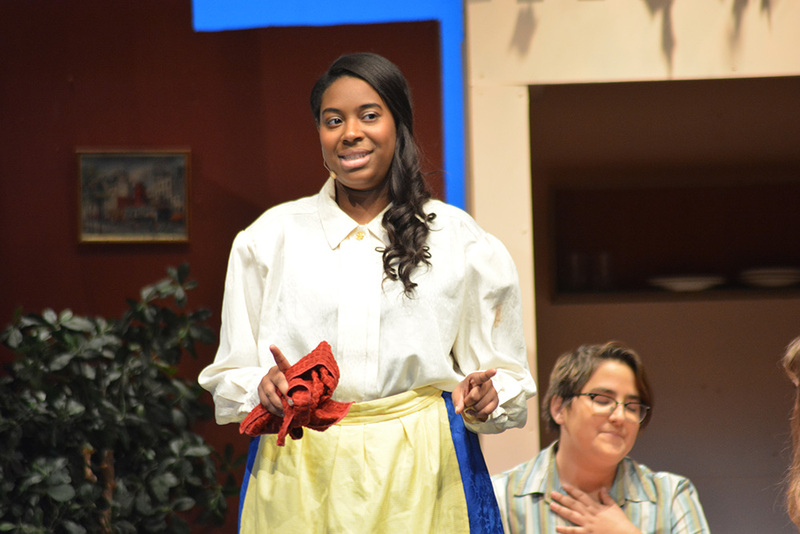 MHS senior Britney Montgomery was named a finalist for outstanding supporting female performance as Denise. She was also nominated for best vocal performance. The school’s other nominees included junior Antonio Gonzales as best male lead (Aimable), junior Kjirsten Lemon as best female lead (Genevieve), junior Brandon Korittky for outstanding supporting male performance (Dominique), and senior Chaienne Zoller for outstanding dancer (Simone). Ten to 12 finalists were chosen from around 20 nominees in each category. This is the second year MHS has participated, walking away with two of the top awards last year. The ceremony is May 26 at 7 p.m. at ASU Gammage.